Financial experts always talk about how we need to be fiscally responsible. You know that keeping track of your money is important, but you aren’t sure how to do that in the best way. You are constantly seeing commercials that say you should use a certain type of payment, whether it be cash, credit, debit or something else entirely. We know it can be confusing, and this article sets out to talk about one way of paying for purchases: debit cards. In the past, the term check card was used to describe an identification card issued by a retailer, which enabled the holder to make payments by check. Payment for any purchases came directly from the cardholder’s checking account. Before debit cards became the preferred method of payment, retailers and supermarkets issued check cards to consumers. A debit card is also called a check card, and is used to pay for purchases instead of using cash, just as you would use a credit card. However, unlike a credit card, the money comes out of the cardholder’s bank account immediately, instead of paying for the purchase later. The popularity of debit cards has overtaken, if not completely replaced, checks. In some countries, debit cards have entirely replaced cash transactions. The rapid growth of debit cards made some countries adopt different systems that were found to be incompatible with other countries. Starting in mid 2000, initiatives were taken to allow debit cards to be used in other countries and for online and phone transactions. There are different types of debit cards, and prepaid debit cards are one of the more popular types. These reloadable cards appeal to a lot of people, including those who do not use banks and credit unions. With a prepaid card you “load” the money onto the card and don’t need to have the money withdrawn from your bank. Instead, the money is taken off the card. Prepaid debit cards are accepted in a wide range of places, as they carry the Visa or MasterCard logos. Without a credit card, cardholders don’t have to worry about monthly credit card bills, recurring fees, or even falling into credit card debt. Although there are many benefits to a debit card, there are certain scenarios where you may not want to use your card. Financial experts agree that it is not advisable to use check cards or debit cards at business establishments who place a hold on a debit cardholder’s checking account whenever a debit card is used to make a purchase. These establishments would place a hold on the card for an amount greater than the actual purchase price. This works as a guarantee that they will receive a payment. 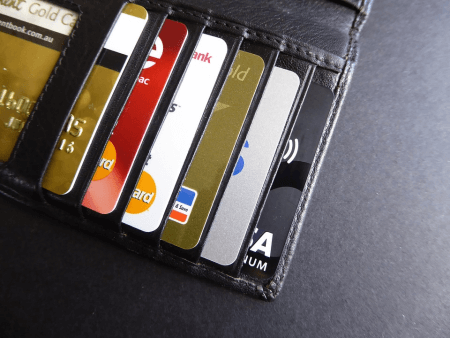 However, if the amount the establishment placed on your card turns out to be greater than the amount in the linked account, the account holder ends up paying overdraft fees. So what’s the difference between a check card and debit card? A check card is no different from a debit card as a canine is no different from a dog. Check cards and debit cards both allow a cardholder to make purchases online, over the phone or at a business establishment. Payment for the purchase is then taken out from the savings or checking account that is linked to the card.